When Nerds Attack was lucky enough to talk to the cast of Amazon Prime’s The Tick ahead of their Season 2 premiere on April 5th. There will be some new heroes and villains on the scene for our favorite characters to deal with, and Dot’s arc (which Valorie Curry hint’s at) sounds like it will be some of the most interesting developments of the season. Also: are people good or evil, really? Watch to see the actor’s take! Griffin Newman (Arthur) Peter Serafinowicz (The Tick) discuss what is in store for each of their characters in season two, including how things might change with new heroes on the scene. Peter and Griffin also answer the most difficult question of all: are people good, or evil? Brenden, Valorie, and Scott all discuss what is in store for their characters in season 2–including how Dot is going to break out of her shell and find some agency. We also learn how the new heroes and villains on the scene might change the dynamic, and how one of them might be his own worst enemy. 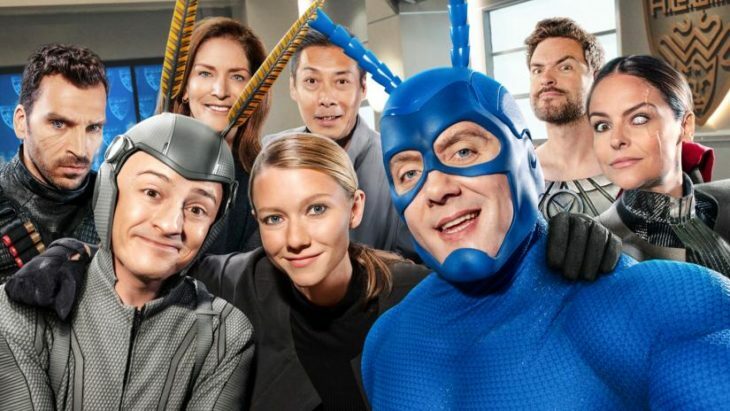 Don’t forget to catch Season 2 of The Tick, only on Amazon Prime, starting April 5th!